Gearbox revealed a new game yesterday that isn't Borderlands 3 - it's a combination of a first-person shooter and a collectible card game. If you were hoping that the next game from Gearbox would be Borderlands 3, here's a news flash: it probably won't. The developer revealed a new project yesterday code-named Project 1v1 that it describes as a "top-secret, in-development, competitive first-person shooter that combines the action of fast-paced 1v1 first-person combat with the metagame strategy of a collectible card game." That top-secret bit seems a little suspect, as Gearbox not only sent out emails to fans, it also launched an official website for the game. 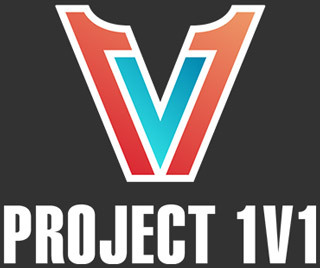 That website offers interested gamers the chance to apply to join the Project 1v1 Closed Technical Test this summer, which Gearbox says will consist of "a limited number of players to test the online infrastructure and learn what players like you think about the game in order to inform and influence future development." Ranked, which will have players "Get matched with an opponent based on player rating. Win ranked matches to earn experience and crates containing new cards." Challenge, which will let you "Challenge a friend to an unranked match." Arena, which will have you "Queue up to challenge the current Arena champion - and win to take their place." While there's precious little else in the way of information about the game, there are three pieces of what appear to be concept art used as the backdrop for the site. You can see those images below. If you're interested, you can find more information, as well as the link to sign up for the Closed Technical Test, over on the official Project 1v1 website.